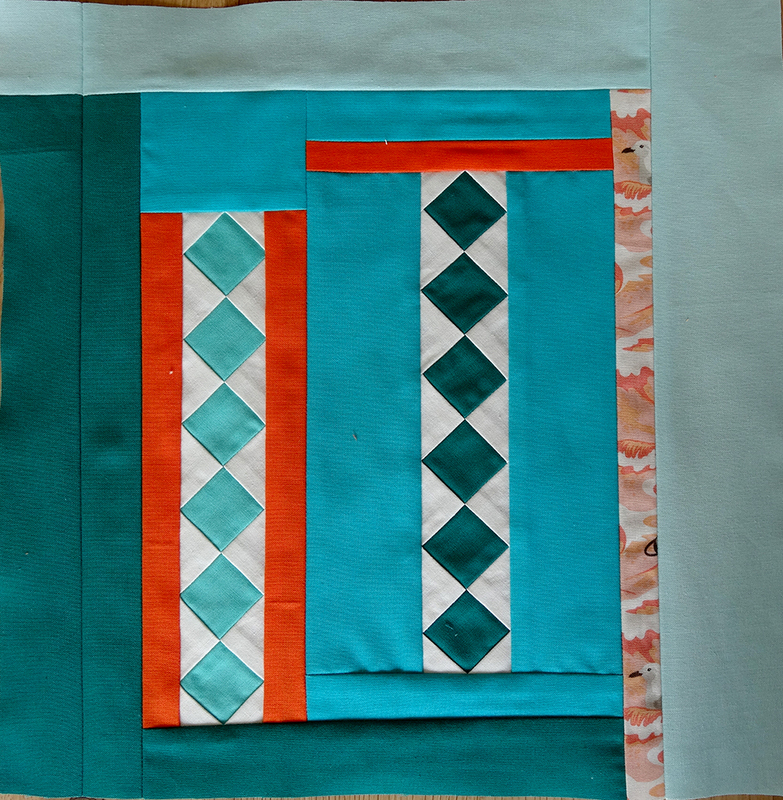 This month was Annett’s turn and she chose orange, turquoise and green with a white background. I struggled a bit this time. I tried several ideas but didn’t like how they turned out while it took quite a bit of time to make them. These experiments, unfortunately, also ate up most of my white fabric so I had to throw in some off-white instead because I had no time left to get more. It made me realise that I don’t work with white very often; I only had 1 fat quarter in my stash. This has been remedied now as the next two months also require white. Some of the things I made and ended up not using. Perhaps they’ll make another appearance later in the year in someone else’s block? 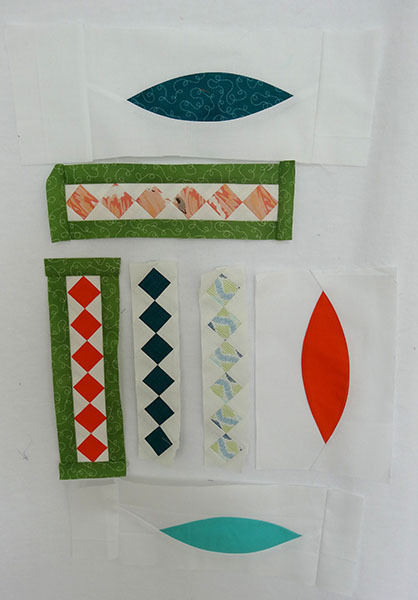 Anyway, eventually I managed to produce 3 blocks that I like and they were sent off only a couple of days late. The first is a wonky log cabin, the simplicity of this shape and the asymmetry really attracts me. At least I managed to use two of the diamond strips in the second block that I made. I really love these strips (and the point matching on these turned out pretty awesome if I may say so myself), but when too many of them were put together it just didn’t work for me. The last block was started by playing with the left-overs from the other two blocks and turning them into narrow strips bordered by white. I quite like the abstract art feeling of this block. 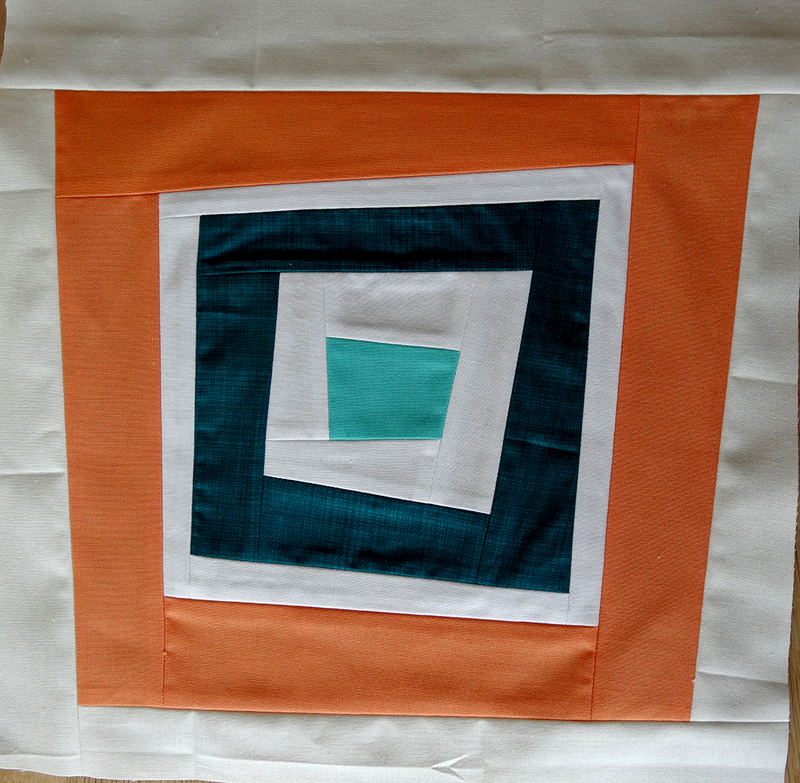 The orange border was a happy accident, it was originally not planned but I didn’t have enough white fabric left to make the block 12.5” x 12.5”. I think the block would have had less visual impact without the additional orange. The blocks made by the other participants can be found on the F2F page. There seem to be a lot of weddings in my life right now and when you don’t want to buy any new clothes this means some sewing is in order. 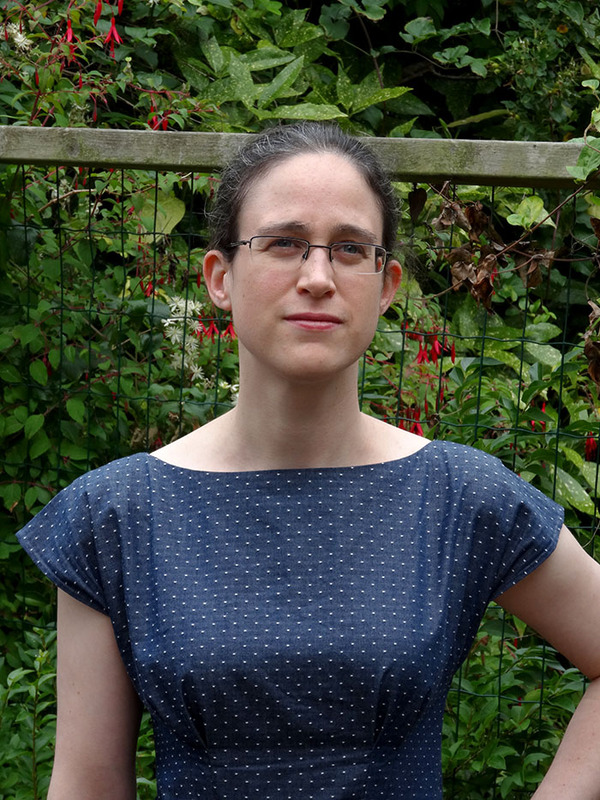 For the summer weddings this year I chose the Anna dress from By Hand London. I made size 8/12 at the bust grading to size 10/14 at the waist. For the front bodice piece this gave me a bit of a headache because of the way the different sizes are printed for this pattern piece. Getting it right meant I had to move the pattern piece a couple of times while I was tracing it. 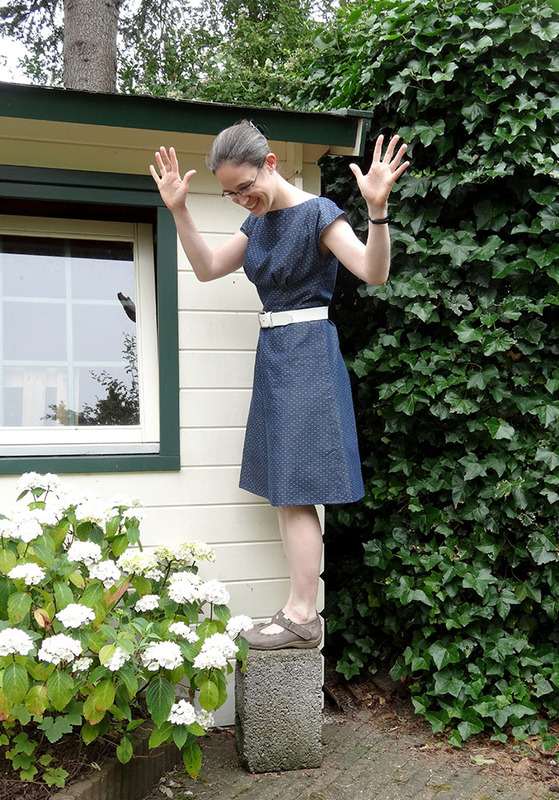 The fabric is a Robert Kaufmann cotton chambray; I like how soft it feels against the skin. 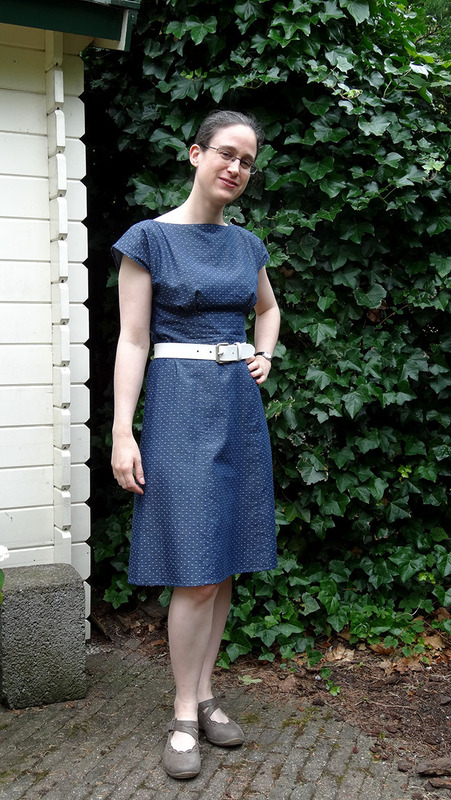 The dress is unlined and all hems are hand stitched because I prefer how this looks over a topstitched hem. 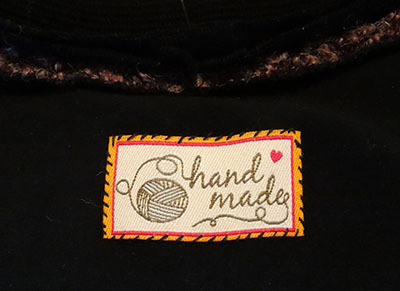 A hand stitched hem is also suppler than one that is topstitched. 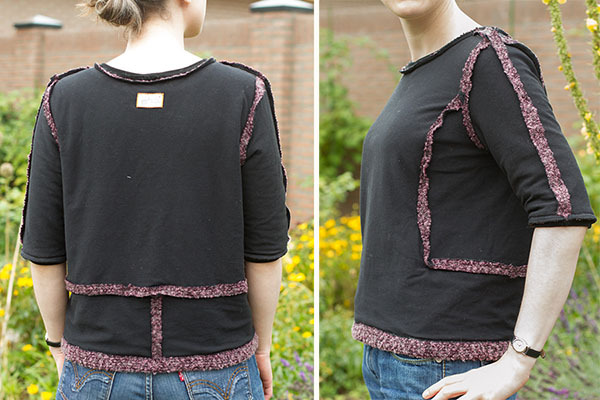 The seams on the inside are finished with a 3-thread overlock stitch. 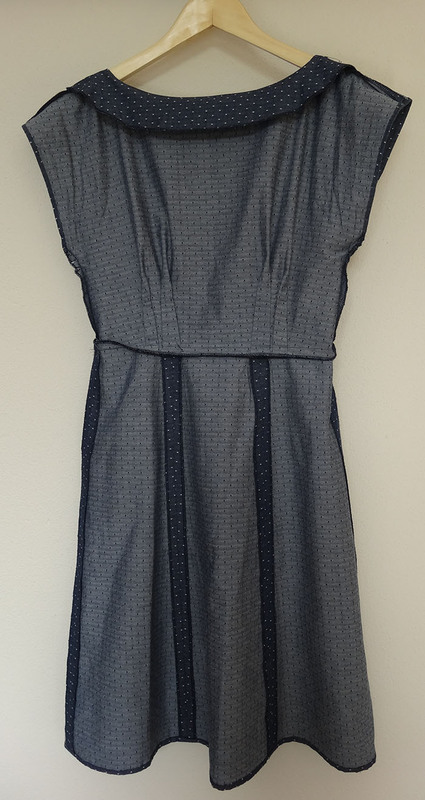 The dress closes with an invisible zipper and hook and eye in the center back seam. 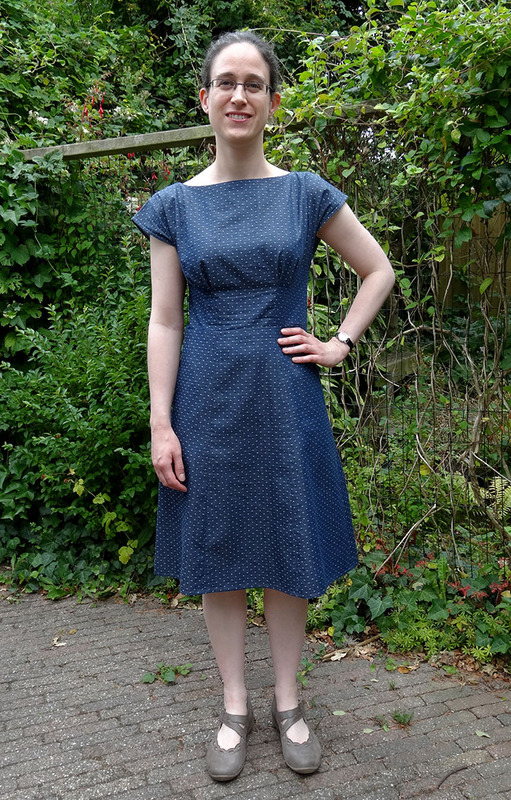 I am pretty happy with the fit at the front, although there does appear to bit of gaping at the front neckline. 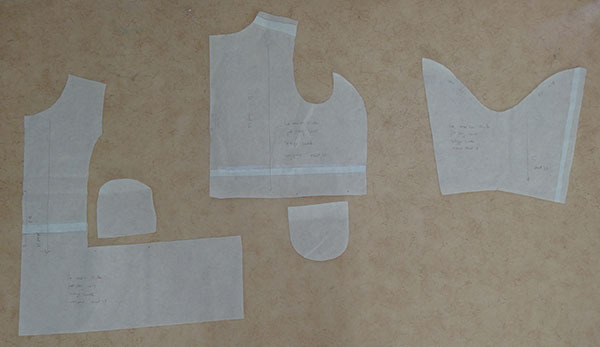 The shoulder seams were moved forward, a modification I make on nearly every garment. It’s been years since I wore a dress with a center back zipper and I now realise that I hate them. I am not a contortionist and I really prefer to be able to dress and undress myself without pulling a muscle. 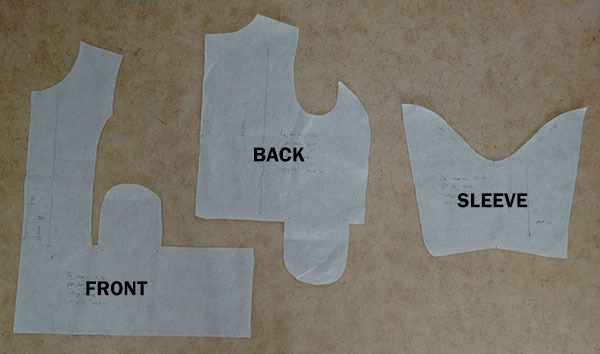 From now on I’ll avoid center back zippers like the plague or move the zipper to the side seam if that is possible. 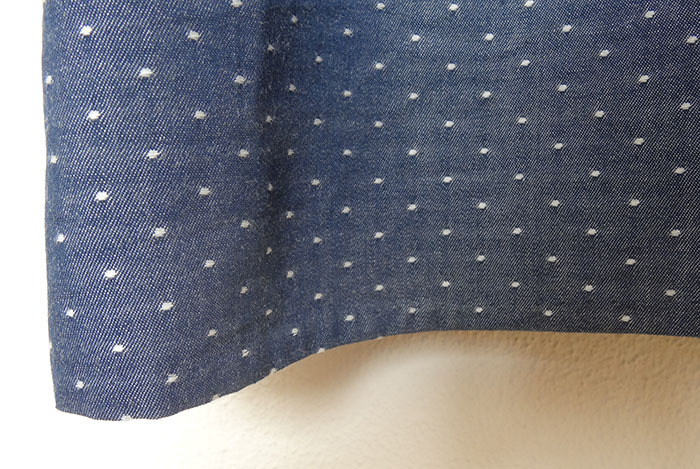 Hand stitched narrow hem. I love how it is nearly invisible. I thought the dress was a bit plain when I first put it on and I think I actually prefer wearing it with a belt. I’ve already worn this dress to two weddings this summer and have another one coming up soon. Since all three have a completely different set of guests I don’t mind wearing the same dress again. From now on I expect to be able to post more regularly because I turned in my thesis last week. 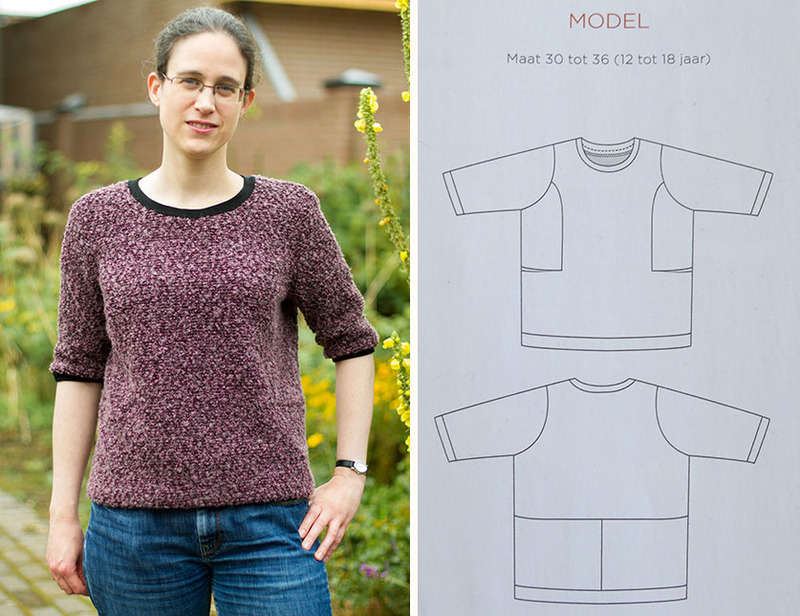 There will be more time for sewing and I’ve already completed two more garments! One I really love and one utter failure. Pictures have already been taken and both will hopefully be featured soon.